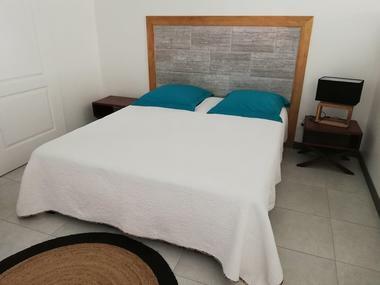 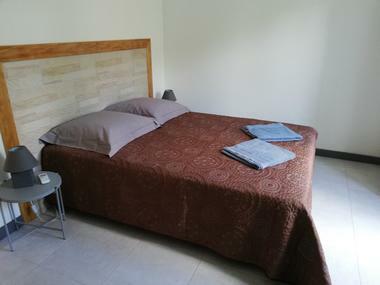 La Villa Maé is a large house with several rooms available to rent. 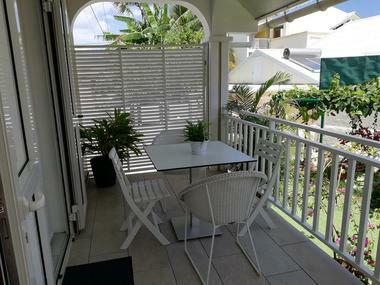 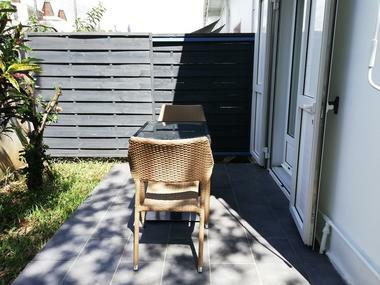 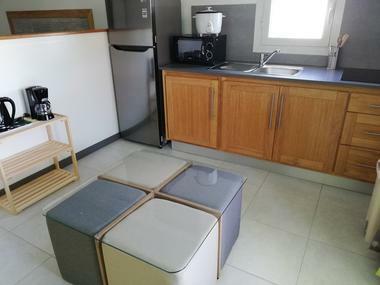 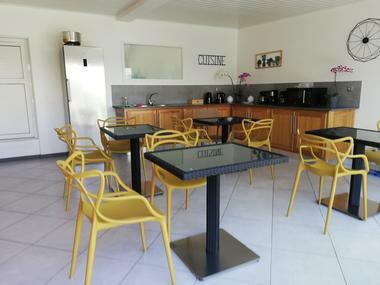 It is ideally located in a quiet area of Saint-Pierre city centre. 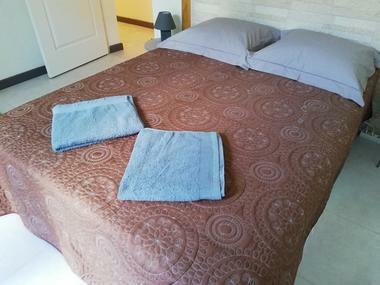 Close to all amenities and 20 minutes from the beach, the villa has 3 comfortable double rooms, with a terrace and private toilets, 2 double rooms with shared toilets, 1 large room that can hold up to 6 beds with private toilets and a comfortable, fully equipped one bedroom apartment (bedroom, kitchen, bathroom, private toilet).